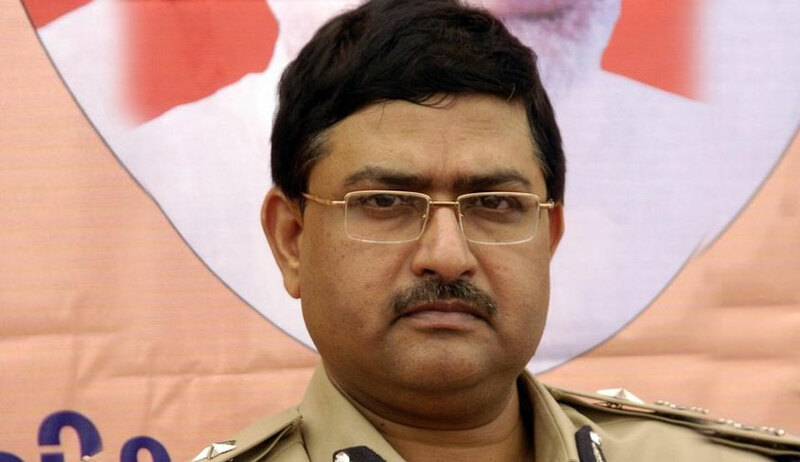 Another CBI officer who was probing the FIR against Special Director Rakesh Asthana, on Monday moved the Supreme Court against his sudden transfer to Nagpur and prayed for a court-monitored SIT probe in the FIR as he made shocking revelations about how the high-and-mighty are controlling the “levers” of the probe agency to exonerate or implicate certain individuals. Manish Kumar Sinha IPS, DIG (Head of Branch), CBI, Anti Corruption Branch, Nagpur, Maharashtra was the head of branch where the FIR against Asthana was registered and was supervising the probe in it before being transferred to Nagpur in the wee hours of October 24. In his petition moved through advocate Sunil Fernandes, Sinha says his transfer is “arbitrary, motivated and malafide, and was made solely with the purpose and intent to victimise the officer as the investigation revealed cogent evidence against certain powerful persons” as he goes on to name many influential persons whose involvement came to his knowledge following examination of Satish Sana, the complainant against Asthana, and the calls intercepted by another central agency. The recipient of 2005 Police Medal for gallantry and Police Medal for Meritorious Service in 2016, Sinha says he had a bird-eye’s view of the entire investigation in the FIR against Asthana and possesses intricate knowledge of all aspects pertaining to the investigation of present FIR, including the discussions held on this case and the inputs shared by other units / agencies. He has sought quashing of his transfer order which he says is a part of the scheme to disband the entire team probing the FIR against Asthana even as Asthana had made no allegations against him in his various complaints sent to CVC / Cabinet Secretary. Sinha’s petition follows the one moved by Ashwini Kumar Gupta who had challenged his abrupt midnight repatriation to his parent organisation, the Intelligence Bureau, as a penalty for unearthing clear link of Asthana with fugitives Nitin and Chetan Sandesara in what came to be known as the ‘Sterling Biotech case’. Though the Supreme Court bench headed by Chief Justice Ranjan Gogoi refused to grant an urgent hearing to Sinha who has sought to be heard as an intervenor in the petition moved by CBI Director Alok Kumar Verma, he has made some startling revelations in his petiton while demanding a court-monitored SIT probe in the FIR against Asthana. Sinha claimed that on the forenoon of October 20, he interviewed Sana at CBI headquarters where Sana stood by the contents of his complaint with respect to CBI officials. “That apart, he also claimed that sometime in first fortnight of June 2018, a few crores of rupees was paid to Shri Haribhai Parthibhai Chaudhary, presently Minister of State for Coal and Mines in Government of India. “As per Shri Sana, Shri Haribhai had intervened with the Senior officers of CBI through the office of the Minister of Personnel, Public Grievances and Pension [“MOS (P)”], to whom, apparently, the Director – CBI reports to,” claims Sinha, adding he reported the information to the Director and AD A K Sharma. He also says that when he asked Sana as to why his complaint doesn’t mentions the name and role of the Minister, he wass told that he has “given complaint to CVO of CBI on officials of CBI, so there was no point in including other aspects and that he acted as per guidance given by his lawyers”. On another aspect following telephonic interceptions, Sinha says in the afternoon of October 20, searches were also conducted at the residence and the office of Devender Kumar, DySP, CBI who was investigating the Moin Qureshi case. Sinha says while the search was on, he got a phone call from Director CBI asking him to stop the search following instruction received from NSA Ajit K Doval. “Additionally, the Applicant became aware that while the proceedings were going on in the CVC against the Petitioner herein - Shri Alok Verma, the Union Law Secretary Suresh Chandra waded in to the issue,” says the petition. It adds that Chandra had contacted Sana through an IAS officer of Andhra Pradesh Cadre and when Sana spoke to him, Chandra conveyed him the message of Cabinet Secretary PK Sinha that the Union Government will offer full protection to him. “The la affaire Sana is symptomatic of a larger deep-rooted malaise in the country’s premier investigation agency – the CBI. The Applicant is troubled by the contents of Shri Sana’s allegations, which if proved to be true, reflect very poorly on our criminal justice delivery system in general and the CBI in particular,” says Sinha. Sinha said, “The Moin Qureshi case can be taken as an example – the said case was registered sometime in Jan/Feb 2017 and is still under investigation, even after more than one and half years. Sana himself was called on multiple occasions by CBI and Enforcement Directorate (“ED”). The ED did not charge sheet him but made him a witness. This indicates that he may not be the central player in the Moin Qureshi case. However such open-ended investigations give ample scope to unscrupulous elements to indulge in illegal or undesirable activities. “There is a pressing need to fix a timeline for investigation of such cases so that premier investigating agencies such as Central Bureau of Investigation doesn’t becomes “Centre for Bogus Investigation” and Enforcement Directorate doesn’t becomes “Extortion Directorate”, says Sinha while demanding a court-monitored SIT probe in the FIR against Asthana.